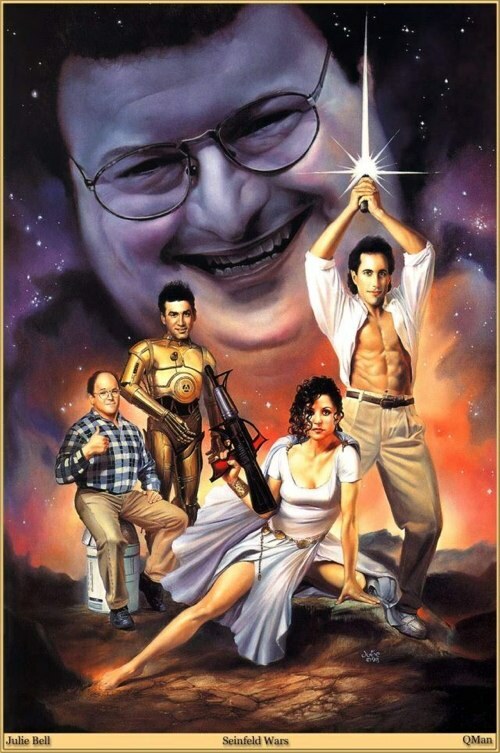 You may have seen the Star Wars Arrested Development parody, now it's Seinfeld's chance thanks to artist Julie Bell. The best part is George just sitting on an R2D2 trash can. That was on my Myspace profile back in '06, and it always got a lot of kudos. Is there no limit to the useless crap in the world? Aiiiigh, the horror of it all. Is Elaine never not hot? Felix - Yes, always not hot. Wow... Why is everyone hating on the poster? What? How is this bad taste? It's ugly and pointless but hardly in bad taste.